The Soundscape Park has 13 loudspeakers with 12 discreet channels of audio output. 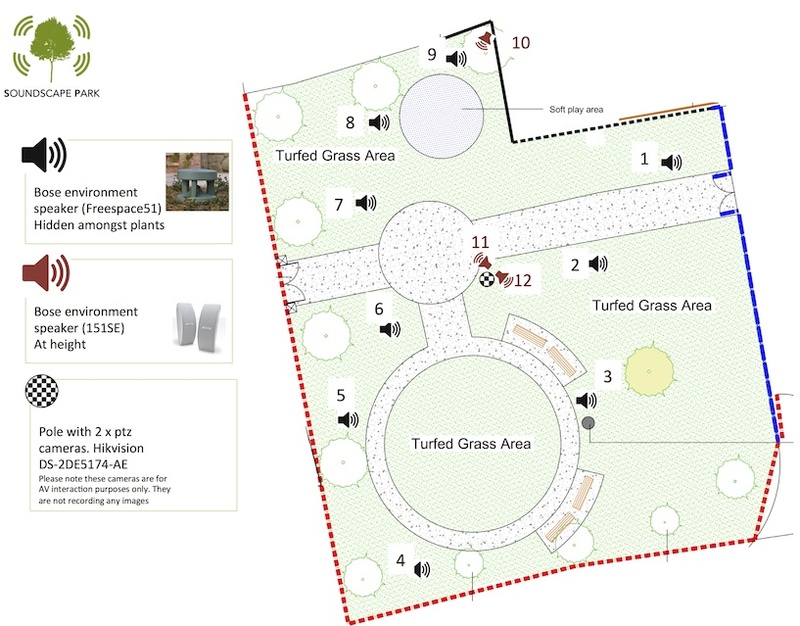 9 loudspeakers are at ground level hidden in flower beds, and 3 loudspeakers are at height. See the loudspeaker layout chart below for specific locations. The sounds are controlled by a computer. Software is used to control the playback and sonic interaction. In it’s default state, the sounds are controlled using MAX/MSP software. This is a programmable piece of software that is used mostly in Music Technology and Audio-Visual installations/works. 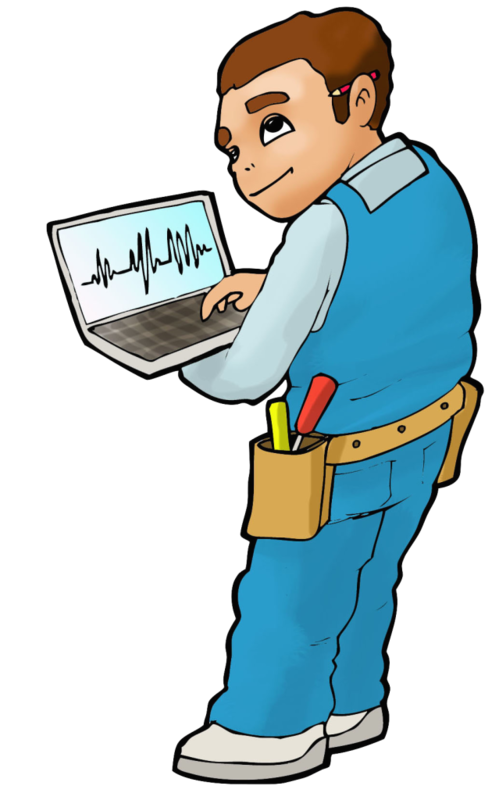 The software is extremely customisable and the Soundscape Park engineers have programmed a custom ‘software patch’ to run every day*. All the sounds are contributed and controlled by staff and research students at the Sonic Arts Research Centre, Queen’s University Belfast. The students and staff at SARC meet frequently and discuss what should be played at the garden and how to make it interactive for the visitors. Generally the Soundscape Park will be in it’s default state, playing soundscape sounds throughout the day using all the loudspeakers. The computer is programmed to schedule ‘scenes’ throughout the day. For example, bird song could be playing during the morning; ocean sounds in the afternoon, and jungle sounds in the evening. The contributors of these sounds bundle them into a computer folder labelling each sound file with a number. The computer then distributes the files to a specific loudspeaker according to the number of the file. The sounds are looped until the next scene is loaded.